Includes an intermittent safety beacon mode. 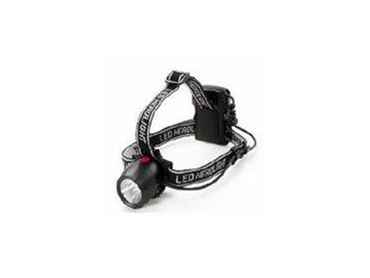 MONTVILLE Creative Products’ 2630 headlamp features a battery power indicator and a switch to select 25, 50 or 100% light output so that illumination appropriate to the viewing distance can be selected. This facility ensures that battery life can be maximised. An energy adjustment circuit regulates power available to the 30 lumen (at its peak) Luxeon 1W LED lamp so the light output remains almost constant for the life of the battery. This avoids the constantly declining light output that starts at switch-on in headlamps that do not have this circuit. This feature allows the user to keep control of where it will be used rather than being restricted by a diminishing light to closer work. The headlight also has an intermittent safety beacon mode and is encased in an almost indestructible ABS plastic construction, which is water-resistant.